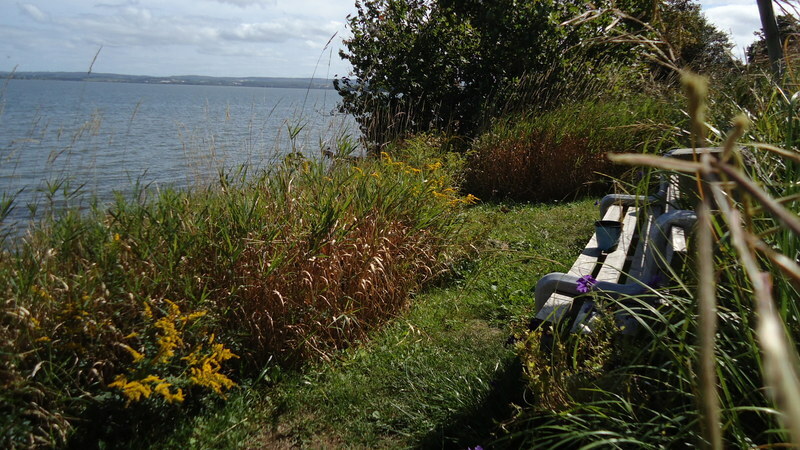 Located along the road, the Rivière-aux-Canards Look-off is a popular stop to enjoy a spectacular view of the Minas Bassin and Rivière-aux-Canards area, once occupied by the Acadians. From the North Mountain, take in a breathtaking view of the dykelands and the communities that are still reminiscent today of the Acadian presence: Upper Dyke, Upper Canard and Lower Canard. Enjoy your time here... the view is worth the stop! 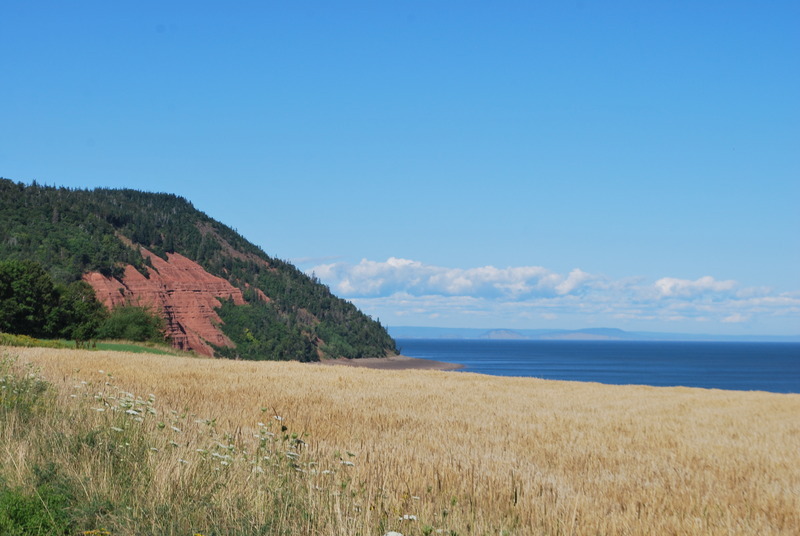 After the Rivière-aux-Canards Look-off, you will arrive at Blomidon Park, with its hiking trails and spectacular view of the Bay of Fundy and the Minas Basin. Samuel de Champlain named this land Cap Poutrincourt, however the Acadians renamed it Cap Baptiste. 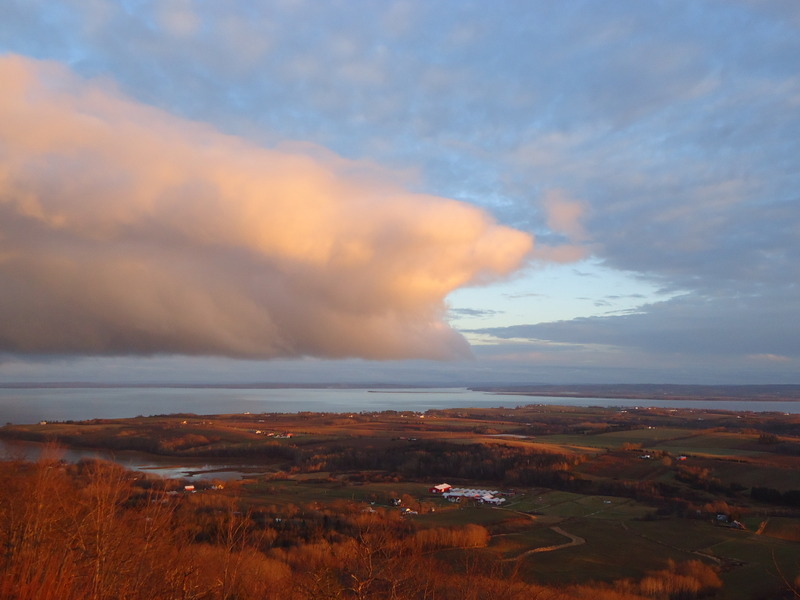 After the Deportation, the first English settlers called it Cape Porcupine, a name it will carry for a long time, while also being called Cape Blowmedown; the latter eventually becoming Blomidon. Beyond the beauty of its landscape, which follows the Bay of Fundy coastline, Blomidon Park is a symbolic site for the Mi'kmaq people. Admire the rocky cliffs and watch the Bay of Fundy tides in action – they are the highest tides in the world. Leave your footprints in the sand and sink your feet into the red earth, typical of the area! The actual date of the beginning of the colonization of Rivière-aux-Canards is not known. The 1686 Census, however, mentioned 57 individuals already living in the area. It was composed of 21 settlements extending to Upper Dyke, Brooklyn Street, Gibson Woods and Starr’s Point. Front and center in this area is the former village of Rivière-des-Vieux-Habitants, which extends from the Pereau River to the Vieille Habitation River. 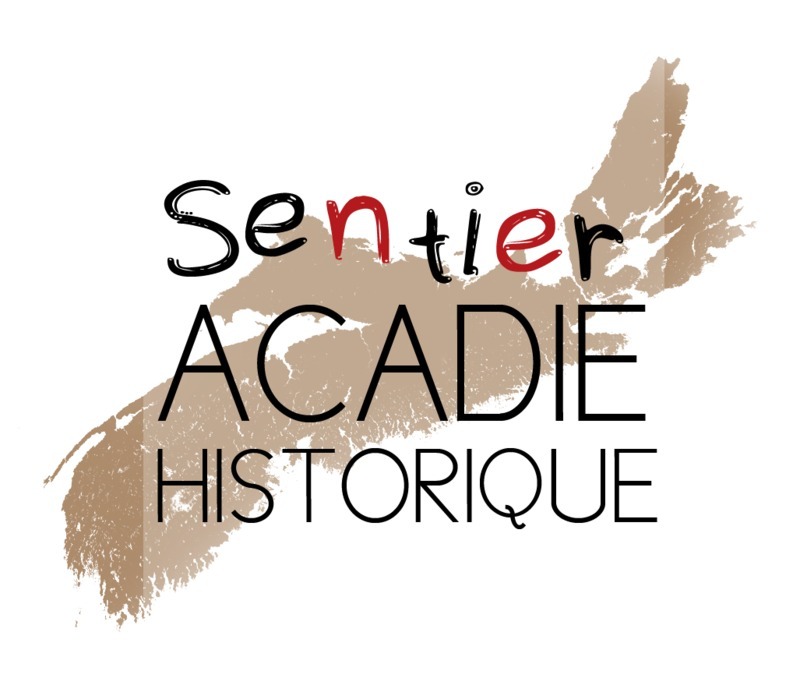 This settlement would be one of the first Acadian settlements in the Rivière-aux-Canards area, founded by Pierre Terriot around 1675. In 1759, the dykes are flooded after a storm and due to a lack of maintenance. The Planters take ownership of the marshes after the Deportation and must rely on the Acadian prisoners to repair the dykes since they are the only people with the necessary expertise and skills.